After dispatching the NHL's top team last week, the Montreal Canadiens are in tough against the New York Rangers in the Eastern Conference Finals. Down two games to none, the Habs will be without goaltender Carey Price for the remainder of the series. Now, more than ever, the team needs your support. 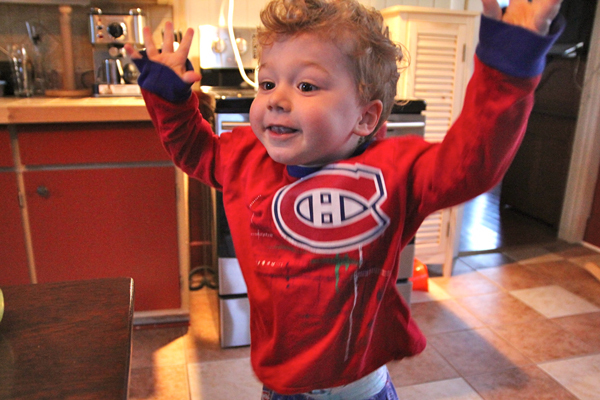 Send us you pictures of you decked out in bleu, blanc and rouge so we can create a photo gallery. After dispatching the NHL’s top team last week, the Montreal Canadiens are in tough against the New York Rangers in the Eastern Conference Finals. Down two games to none, the Habs will be without goaltender Carey Price for the remainder of the series. Now, more than ever, the team needs your support. Send us you pictures of you decked out in bleu, blanc and rouge so we can create a photo gallery. Send all your pictures and caption information (who is in the picture, where you are, anecdotes, etc.) to Neale McDevitt.